When it comes to a decayed or damaged tooth, time is of the essence. The sooner you make a dental appointment, the faster you can get relief from pain and treatment for the affected tooth. When you get to the clinic, your dentist will give you a thorough examination, carefully examining the affected tooth and checking the rest of your teeth, gums, and underlying structures. The goal is to extend the lifespan of the problem tooth and protect your natural smile. In many cases, dental crowns are the best solution for lengthening the life of the problem tooth. Whether it’s been damaged in a sports injury, cracked as the result of an accident, or has suffered tooth decay, your dentist will evaluate your case and recommend the best option. 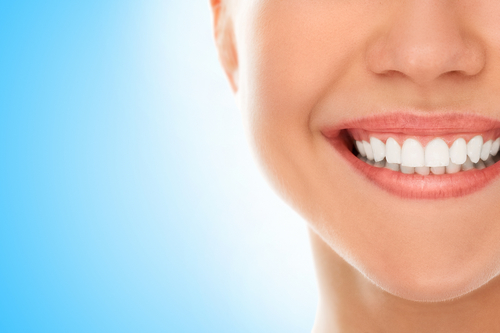 Dental crowns are an oral treatment that preserves the look of your natural teeth and smile. It can be made entirely of tooth-colored ceramic, porcelain that is fused to metal, or metal alloys. The material that is best for you will depend on the reason why you need it in the first place, where it will be placed in your mouth, and whether it will be visible or not when you speak or smile. To protect a tooth that has been affected by breakage or decay, a crown can be placed on top of it. If you have a cracked tooth, a dental crown can hold the parts together and prevent further breakage. Crowns can rebuild worn teeth. For dental fillings that are not enough to repair a decayed or damaged tooth with not a lot of structure left, a dental crown can be added for support and coverage. If you have gaps in your smile, a crown can be mounted on healthy teeth located on either side of the gap to assist a dental bridge. A crown can cosmetically cover a tooth that is naturally misshapen, discolored, or in need of other alteration. After a dental implant procedure to replace a missing tooth, crowns are often the finishing and final touch. If you have an active lifestyle or if you engage in sports, you are more prone to cracking or chipping a tooth. If that happens, you might think that tooth extraction is your only option. Fortunately, crowns are a viable solution. This dental procedure can save your broken tooth and lengthen its life. Instead of extraction and the pain it entails, you can preserve your natural teeth and keep your smile pristine. Dental crown treatments typically require two visits with the dentist and a minimum of two weeks apart. At the initial appointment, you will be administered a local anesthetic. The tooth is prepared by removing the damaged part of it. The tooth will then undergo milling operation, where it’s shaped to make room for the crown. There should be adequate space for the crown to fit snugly along the adjacent teeth. It also must not affect your natural bite and smile, so some tooth structure from the sides and the chewing area will most likely be adjusted. Your dentist will then take an impression of the affected tooth and the surrounding teeth. A temporary crown will be placed, so the tooth is still functional while your permanent, customized crown is made in a dental lab. When you return for the second visit, the temporary crown is removed and will be replaced with the permanent one that will be bonded to your tooth. 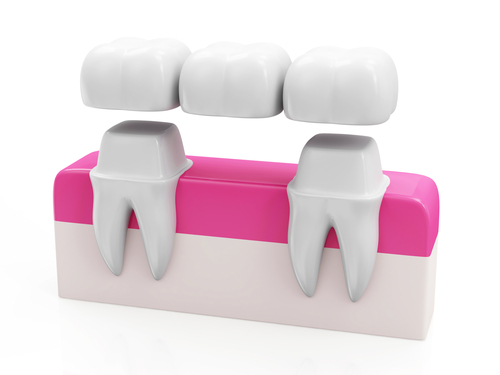 Ceramic – made of a porcelain-based material, ceramic crowns are used for fixing the front teeth. They are a popular choice for their adaptability to blend with the color of your natural teeth. Porcelain Fused to Metal – extremely durable, this type offers a stronger bond than regular porcelain due to its connectivity to a metal structure. Gold Alloy – a mixture of gold, copper, and other metal materials. It doesn’t easily fracture nor wears away the tooth. Base Metal Alloy – Made of materials that are resistant to corrosion. This type also only needs the least amount of healthy tooth structure to be removed to make way for the fitting. Discuss these options with your dentist to see what type best suits your situation.